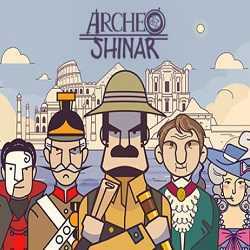 Archeo Shinar is a Simulation and Strategy game for PC published by Artists Entertainment in 2019. Manage expeditions and explore dusty tombs! The game focuses on the preparation and shady operations between expeditions. You will explore dusty tombs like in any other game about archeology but this time, you are the guy who manages expeditions.